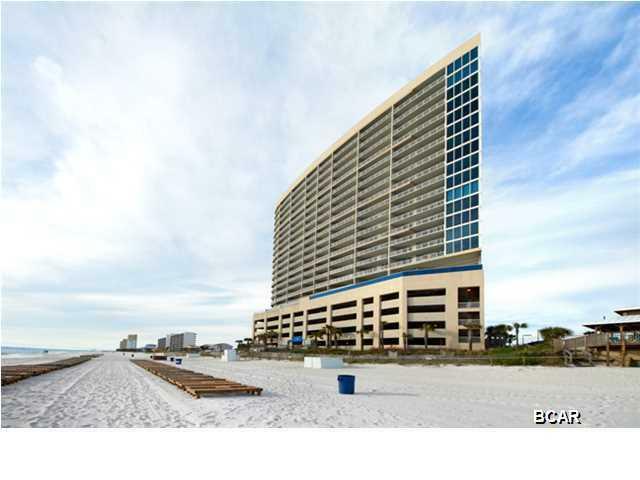 Unique luxury condo offering features that are unmatched along the Emerald Coast! Unit #508 is easily the most exquisite unit at Palazzo and is a breathtaking 3BR/3BA furnished West end corner unit. Unit is being sold fully furnished and decorated with two balconies and storage locker P4-03. 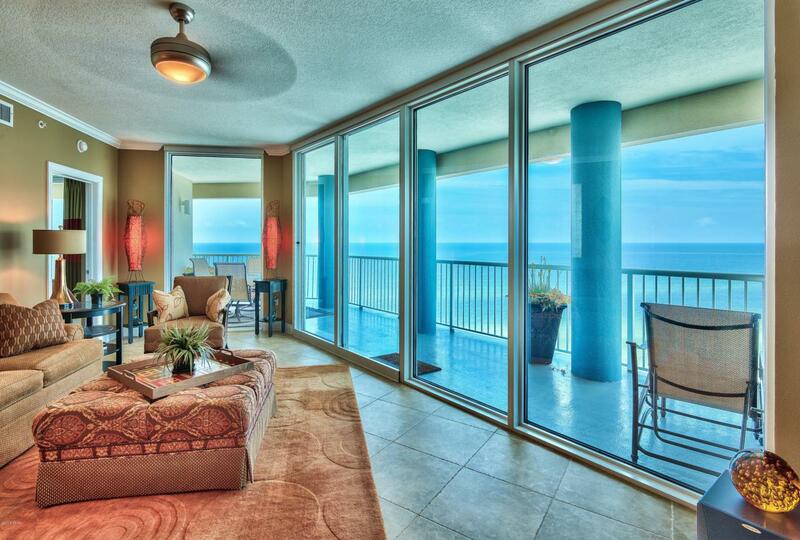 Enjoy panoramic views of the sugar white sandy beaches and Emerald waters of the Gulf of Mexico. Let the sunshine in! Floor to ceiling glass throughout the unit maximizes the spectacular views and the glass has additional tinting to block UV rays keeping the unit cooler on summer days. 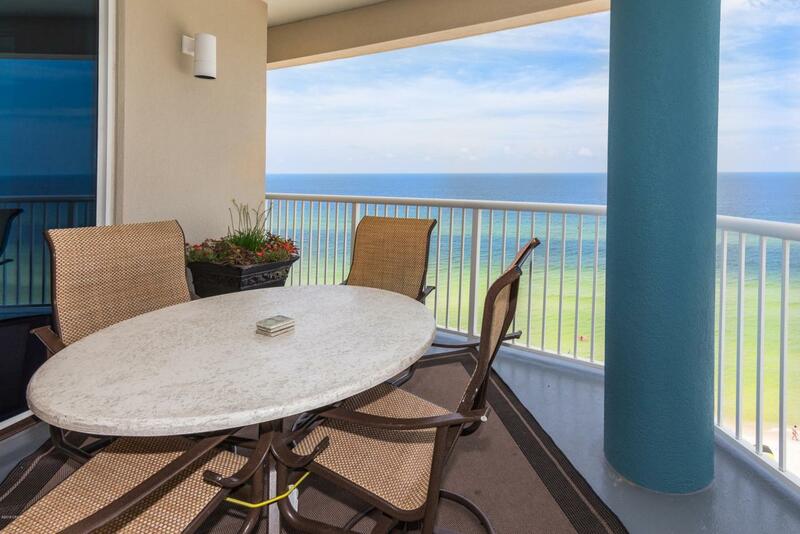 Sunsets are stunning from either of your two private Gulf front balconies, totaling 415 sq. ft. The spacious, open floor plan features raised 9' ceilings and 20'' diagonal tile floors throughout.Kitchen features thick solid granite countertops and breakfast bar, custom stone tile work on the backsplash above the kitchen countertops and below the island bar, recessed lighting, upgraded wood cabinets, and stainless steel appliances. The spacious master bedroom has stunning views of the Gulf of Mexico by the surrounding floor to ceiling windows. There is a large walk-in closet and an on-suite master bathroom with double vanity, Whirlpool tub, and separate walk-in shower. The master bathroom has been upgraded with new granite countertops and is especially unique with the custom tiled shower. The guest bedroom also has an upgraded on-suite bathroom and separate, private balcony facing West. A private guest balcony is very rare for condos in the area, so this is definitely a special feature of the unit. There is an additional guest bedroom and bath that is stunning as well. This unit sleeps 8+ guests and has a full size washer/dryer closet with storage. This unit is in pristine condition. Palazzo amenities include elevated Gulf side pool, hot tub, complimentary beach service (Mar-Oct), fitness facility, and meeting room. At Palazzo you are on the desirable West End of Panama City Beach, 1 mile from Pier Park shopping center, and less than 20 minutes from the Panama City Beach International Airport. Unlike the competition, Palazzo is a low density building consisting of only 129 direct Gulf Front units and has four levels of covered Gulf Front parking under the building - no need for massive parking garages with elevated walkways across the street. Do not miss out on this incredible opportunity to own an upgraded corner unit at one of the finest condominiums in Panama City Beach! 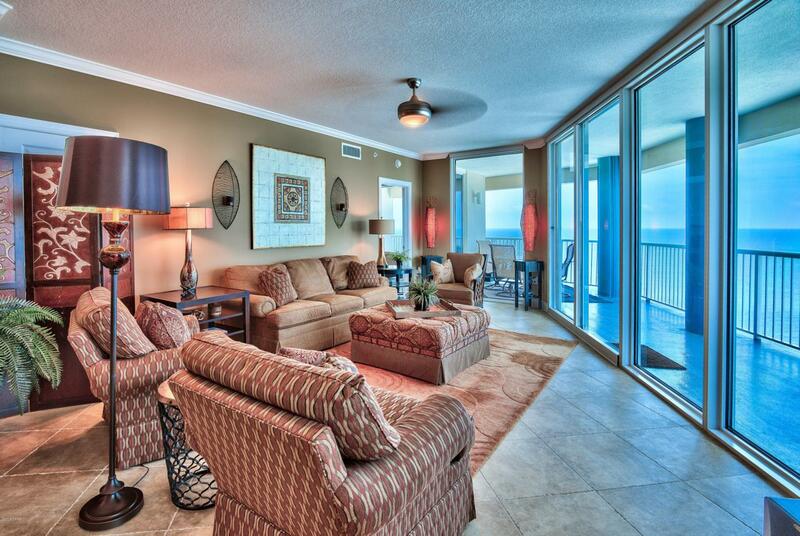 Unit #508 truly is the perfect second home, full time residence, or vacation rental.